Am I really holding the pen and writing the story of my life? That was a question I asked myself after the closing speech of Project Management Institute (PMI)® Leadership Institute Meeting 2012 – EMEA which took place last year on May 4-6 in Marseille, France and gathered together 200 PMI® leaders. Leadership Institute Meetings are designed to inspire and support PMI® leaders by offering face-to-face opportunities to connect with and learn from fellow volunteer leaders. At the meetings PMI® leaders collaborate in productive, curriculum-driven educational sessions. 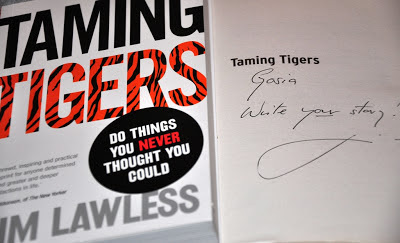 Jim Lawless, one of the most popular inspirational speakers in Europe, was the closing speaker of the 2,5 day event and talking on “Ten Rules for Taming Tigers” made the audience laugh and cry. billions of people into delivering comfortable mediocrity. Freediving record in 2010, the first British diver to cross the magic 100-meters barrier. 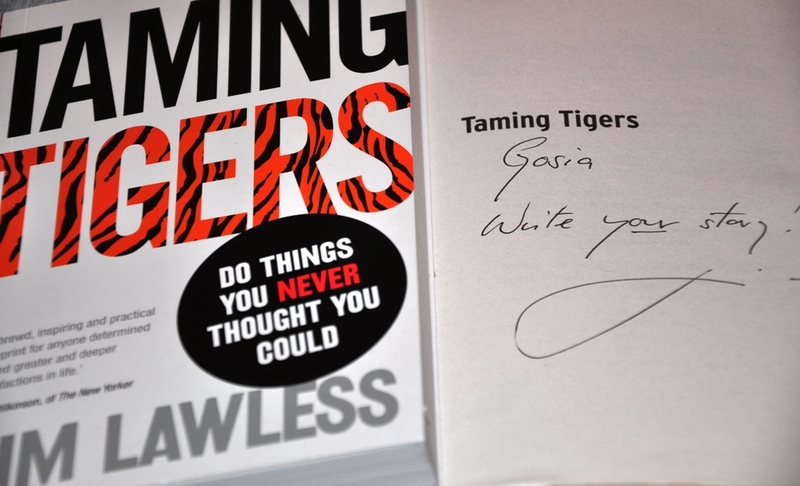 After the emotional, entertaining and inspiring speech I really wanted to read his book “Timing Tigers. Do things you never thought you could, did not buy it during the event and was not aware I would like it. Fortunately, Jim was also the speaker of the PMI® EMEA Congress and my friend who was staying longer got a copy for me. 1. Act boldly today – time is limited! 10. Never, never give up!